Organisers of a popular Deeside games are looking to track down the history behind a piece of railway ephemera. 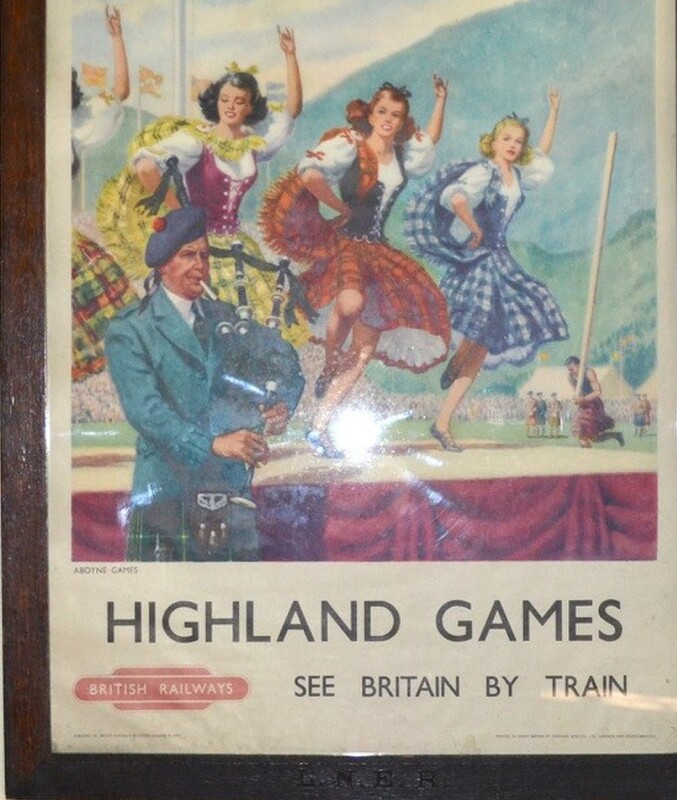 Aboyne Highland Games was the focus of a British Railways poster created in the 1950s to encourage the public to explore the country by train, but mystery surrounds where the framed artwork has been for the last 50 years. Having drawn a blank in their quest for more information, event officials are asking the public for their help in piecing together the poster’s history, prior to this year’s games on August 3. The committee of the annual Deeside festivities purchased the item at a Scottish saleroom after one of its members spotted it. It was only after receiving the item that the committee discovered the poster, mounted in a simple wooden frame bearing the inscription LNER, had been presented to their predecessors more than 50 years previously. The evocative image features a piper playing as three Highland Dancers perform on a stage beneath a fluttering banner displaying the Gordon family crest. Alistair Grant, chairman of the games, said: “It is all a bit mysterious and intriguing. 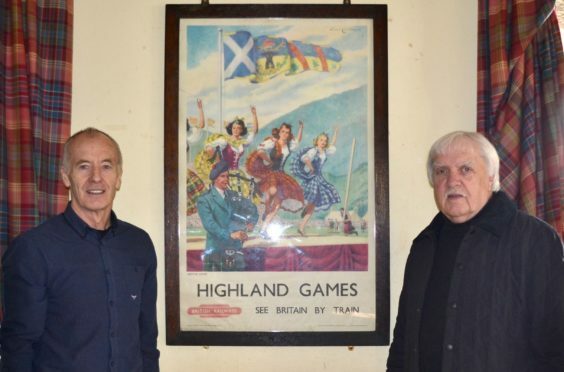 We have found no mention of the framed poster being presented to Aboyne Highland Games and those who were connected to the games at that time have no memory of it. The vibrant artwork by the renowned artist Lance Cattermole was one of a series of posters created by British Railways to promote destinations on its network. Mr Grant added: “Our archives document that the Deeside Line was hugely important to the success of Aboyne Highland Games, with thousands of visitors travelling by rail to attend the event.